With the triggering of Article 50 just round the corner, there is still much we don’t know about how Brexit will affect trade between Britain and the rest of the EU. With the shock of Britain’s vote to leave the EU still headline news, now is a good time to consider how your business can benefit by focusing on international trade. Are you looking for a way to divert your calls to another number? 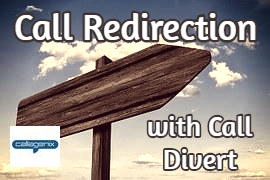 If so, the Callagenix Call Divert service could be just what you need. We've just published our new extended guide to our International Call Divert service.